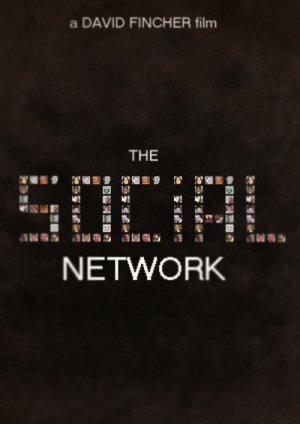 After the rather minimalistic first trailer, here’s a new teaser for the upcoming movie about Facebook called The Social Network. Still no clips from the actual movie (we bet that’s going to be the next step), but the audio bites are now supported by a visual representation of a Facebook news feed, showing all the characters’ quotes being typed out as you hear them. Mark Zuckerberg: Facebook co-founder and CEO. Eduardo Saverin: co-founded Facebook during his last year of the Economics study at Harvard University. His departure from Facebook was the subject of subsequent legal action. He later won the right to have his name listed among the other founders in a lawsuit. Dustin Moskovitz: co-founder of Facebook – left the company in October 2008. Marilyn Delpy: no idea who this is. Erica Albright: no idea who this is, but according to the screenplay a girl Zuckerberg was dating a couple of years ago. Divya Narendra: started ConnectU, the social network that sparked the idea for Facebook, with Cameron and Tyler Winklevoss. ConnectU ended up suing Facebook for stealing the idea and using some of their source code. Christy Lee: no idea who this is. Tyler Winklevoss: Together with his twin brother Cameron and Narendra, owns ConnectU, previously HarvardConnection. In 2004, ConnectU filed a lawsuit against Facebook alleging that Zuckerberg had broken an oral contract with them. The parties reached a confidential settlement agreement in February, 2008. Larry Summers: no idea who this is. Sean Parker: In 2004, Parker began informally advising the creators of Facebook, and became its President when the company incorporated that same year. In 2006, Parker joined the Founders Fund, a venture capital fund based in San Francisco, as Managing Partner. Are you excited about this movie? Let us know by voting in our new poll. Posted by Pieter on July 8, 2010 at 12:44 PM. Use this trackback if you're linking this story.